Things have gotten busy. A bout of food poisoning, a dentist appointment, working late, and a planned trip to watch roller derby. But I am committed to decluttering. Here are the 22 items for the four days, all in one fell swoop. There is no one thread behind the books. Some I have other copies of. Some I have as ebooks. 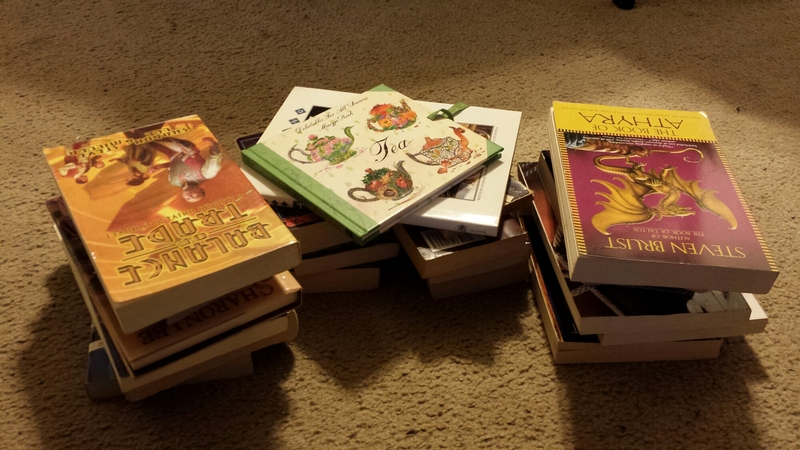 Some I will never read again (or just never read). Here they are clutter, somewhere elae they may be loved.